Our flagship location couldn’t be better situated in Uptown Waterloo. The Bauer District is known for it’s high-end shops, perfect summer patios and great food choices. 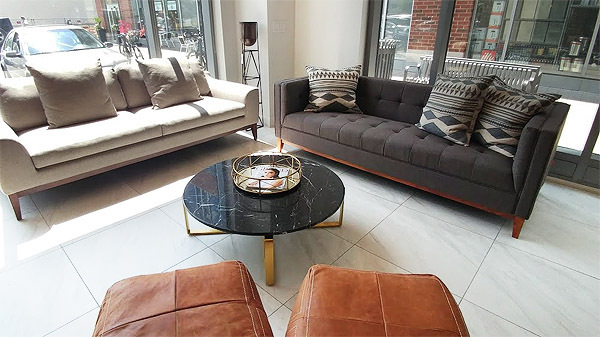 We have embodied this area with modern, traditional furnishings and statement pieces perfect for your new condo or home. This gold and marble coffee table is one of our favourites and would make a statement in any living room. Pair it with other gold accents or contrast it with matte black accents for a more modern look. 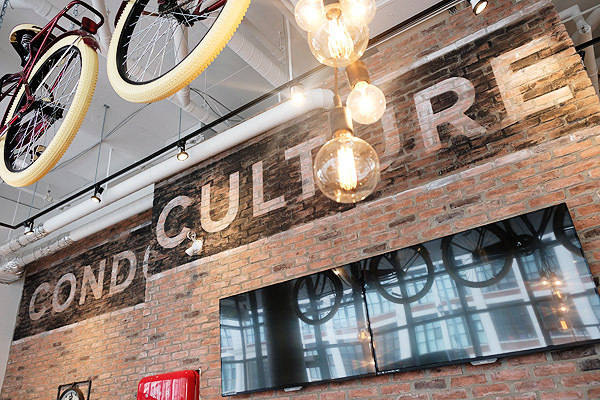 With an array of eclectic pieces and a giant exposed brick wall, we have crafted Kitchener to replicate all the things we love about downtown: old factory buildings, eclectic little shops and a community full of talented makers and young entrepreneurs. 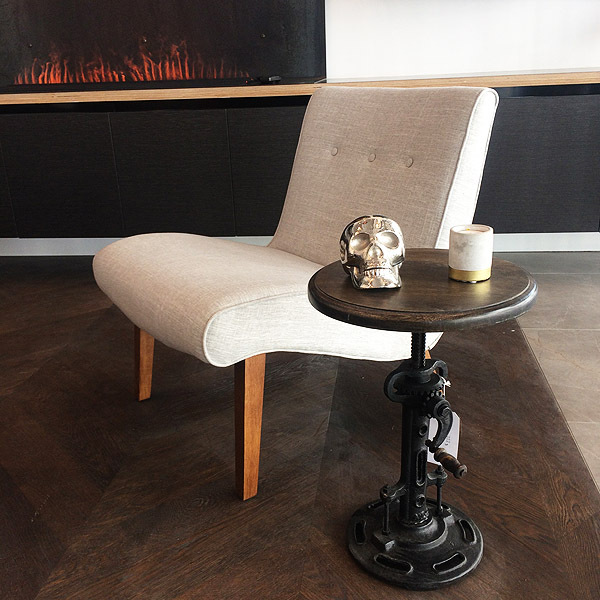 We have accentuated the industrial loft look with cast metal skulls and industrial style tables but kept hints of the original Condo Culture with neutral furniture pieces that would suit any style of space. We’ve also curated a unique collection of counter and bar height barstools to maximize your living area while enhancing the factory appeal of any loft inspired space. 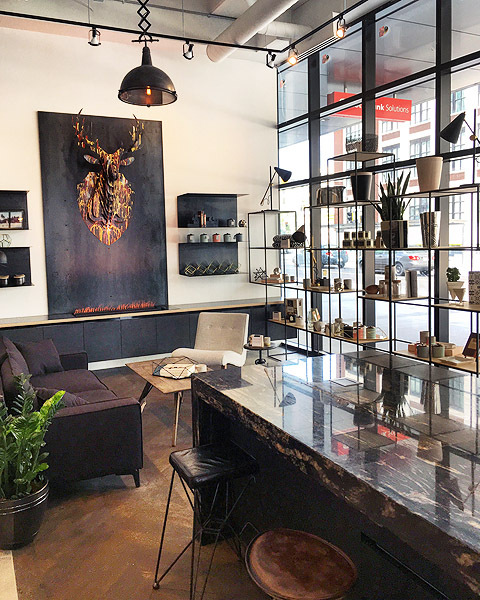 In Hamilton, it’s said that “Art is the New Steel” so we designed the store to be an artistic blend of the City’s rich industrial history as a steel town with its emerging identity as a talented mixing pot of awesome artists, creatives and a quickly emerging culinary scene. 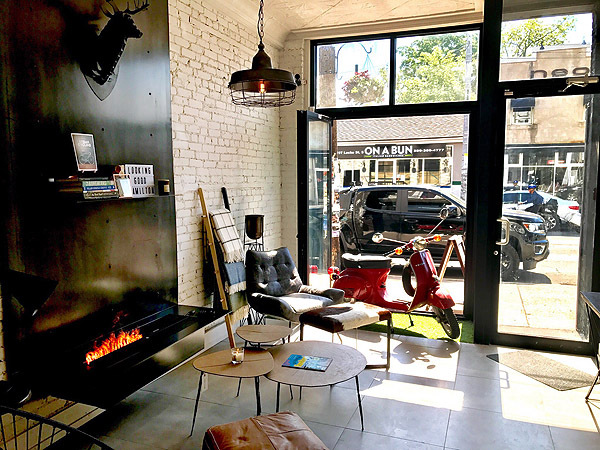 A perfect combination of cues from the past, old factory buildings, trendy new shops and restaurants and an incredible arts community, Hamilton is becoming a city like no other. So we’ve played homage to the industrial past with refinery and loft inspired elements such as distressed wood finishes and industrial style lighting mixed with cool, modern furniture to create a perfectly balanced look like no other. 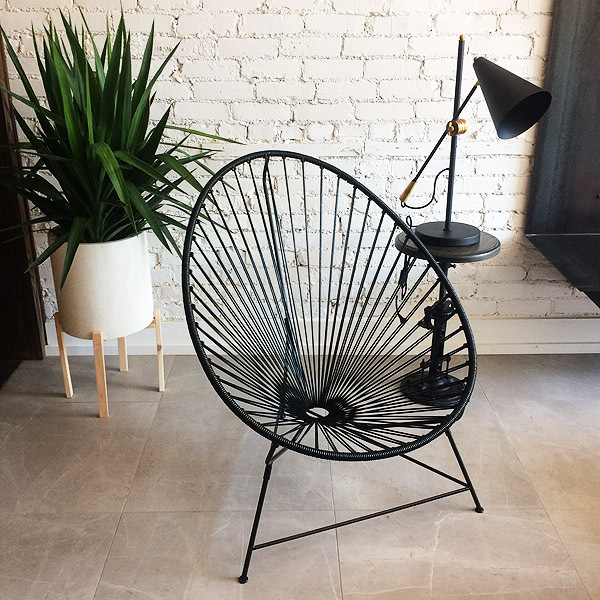 We’ve shown you this one before but we can’t get enough of this Acapulco chair! It honestly looks stunning in any space and it is perfectly at home in our Hamilton store. 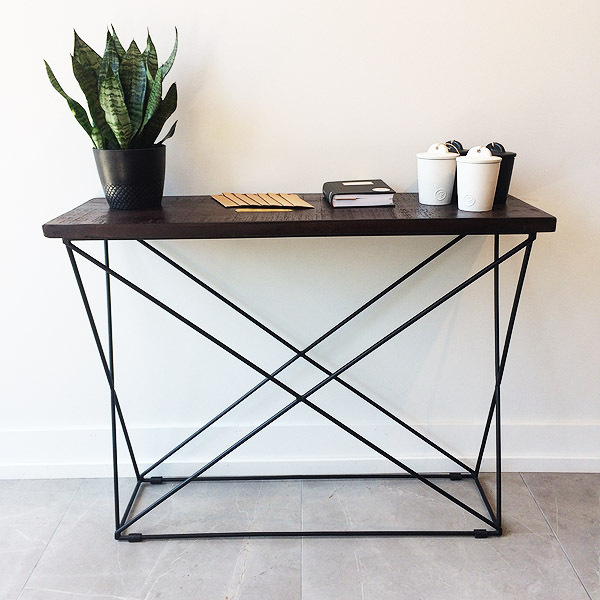 Another one of our favourites is this new, distressed wood top console table which adds great utility and storage to any narrow entryway. If you haven’t been to one of our stores yet or it’s been a while, drop in for a latte or cappuccino and check out our new digs. We’d love to see you and you’ll be happy you did!